Sydney Siege: Full wrap of what happened overnight. Warning: This post contains images and video that may be distressing to some readers. This post is being updated live as new details emerge; keep checking back for updates. Australia has woken to some awful news, as we learn that the siege has ended with the deaths of two of the hostages and and gunman. 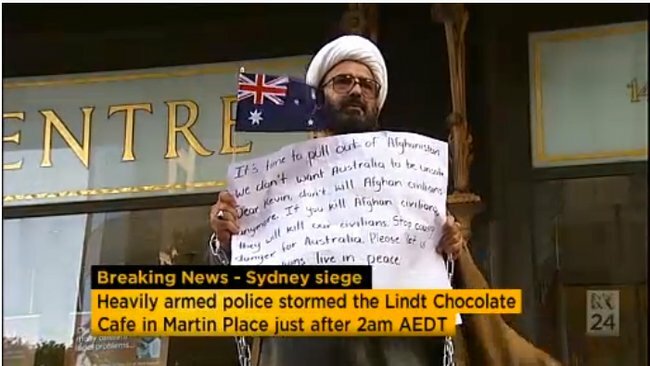 Police stormed the Sydney Lindt Café shortly after 2am, when the 17-hour siege finally came to an end. A hail of bullet fire and gun grenades were used to free the hostages in an operation known as “Operation Hammerhead”. Police have confirmed that 17 people were held hostage during the siege, and that three people died throughout the incident: 34-year-old Lindt manager Tori Johnson and 38-year-old barrister Katrina Dawson, as well as the 50-year-old gunman, who has been identified as Man Haron Monis. Katrina Dawson (left) and Tori Johnson (right) tragically lost their lives in the siege. Read more about the hostages, and tributes to the vicims of the siege, here. Six people were injured during the siege, Deputy Commissioner Catherine Burn said this morning. 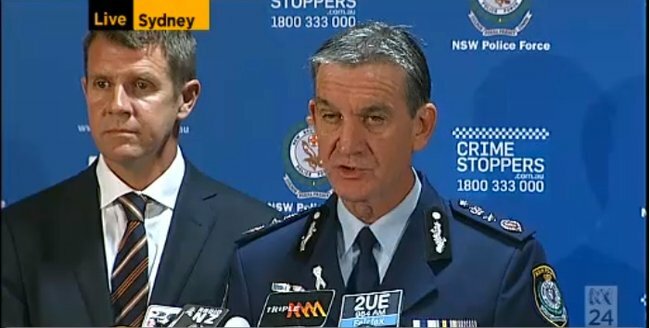 NSW Police Commissioner Andrew Scipione confirmed in a press conference that a police officer was injured — reportedly shot in the face — but his injuries are not life threatening. Commissioner Scipione said the perpetrator was a lone gunman. Read more about the identity of the gunman here. The hostages were said to have been divided into two groups overnight. 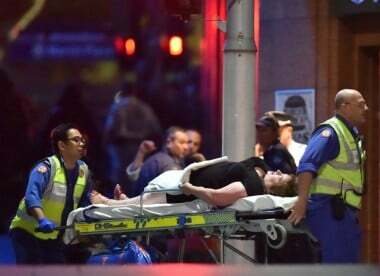 The siege came to an end when loud explosions and yelling was heard from outside the Lindt Chocolate Cafe at 2:00am (AEDT). Just after 2:00am, a man in a white shirt emerged with his hands up and lay down on the ground in front of police, the Daily Mail reports. He was patted down and escorted to safety. Minutes later, it’s understood five more people raced outside with their hands up and were directed away by police. NSW Police Comm Andrew Scipione said that police heard gunshots inside the premises and moved in. A police sniper shouted ‘hostage down, window two’ shortly before police entered, Sky News reports. The Daily Mail reports it is believed Monis had fired his gun, reportedly killing one of his captives. In chilling footage of the incident, many flashes of light can be seen coming from inside the Lindt cafe doorway. Commissioner Scipione said if police had not entered at that time, many more lives would have been lost. Police tape around the city. Image via @mickyblue25 on Instagram. The scene at night. Image via @deborahclay on Instagram. The hours in between hostages coming out and the siege ending. Image via @deborahclay on Instagram. During the siege. Image via @deborahclay on Instagram. Media and onlookers during the siege. Image via @deborahclay on Instagram. Police during the siege. Image via @anth10ny_ on Instagram. Flowers in Martin Place this morning. Image via @jackson0787 on Instagram. Flowers in Martin Place. Image via @ashreee_puppylove on Instagram. Dramatic scenes as siege ends. Image via Nine News Australia. 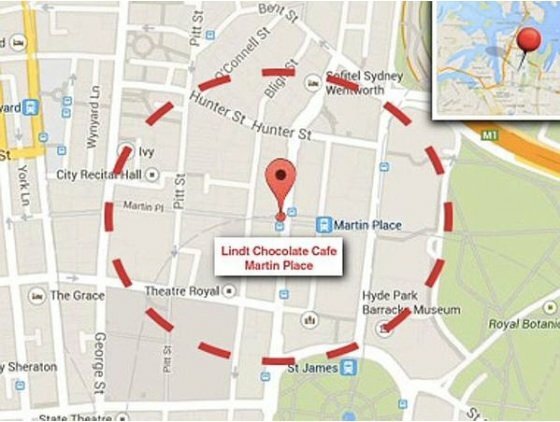 Hostages flee Lindt cafe. Image via @mearesy. An injured hostage being lifted for medical attention. Image via @theheraldsun. Flowers left in Martin Place for hostage victims. Image via @channeltennews. Police push media and onlookers back. Image via @GuardianAus. Hostages flee cafe. Image via @guardian. More hostages flee cafe. Image via @guardian. Elly Chen one of the hostages to escape yesterday afternoon. Image via Facebook. A hostage being taken to hospital on a stretcher. Image via @cnn. Australia newspaper covers. Image via @bkjabour. Image of the siege location. Photo via @WSJ. Police storm the Lindt Cafe after gun shots heard inside. Image via @SkyNews. Police strategise in Martin Place. Image via @theage. Police and paramedics on scene after siege ends. Image via @Reuters. Sydneysiders grieve for hostage victims in Martin Place. Image via @SkyNewsAust. Hostages flee. Image via @NBCNews. Siege ends. Image via @sunriseon7. Sydneysiders buy flowers to lay in Martin Place. Image via @702sydney. One man ran out of the door with his hands raised followed by five more hostages who emerged from the café. Minutes later loud bangs could be heard. Paramedic crews who had been stationed at the scene throughout the day were seen carrying people out of the building on stretchers, and onlookers said some patients were being resuscitated. At least five patients were taken to St Vincent’s Hospital and Royal Prince Alfred Hospital for treatment. Police then sent a bomb disposal robot into the cafe by police. No explosive devices were located. For a full timeline of events, see this post. Throughout the siege the hostages contacted several members of the media. Mark Burrows, a reporter with the Nine Network said he spoke with two hostages who called his newsroom directly. “The first one, as I spoke to her, the gunman was actually reeling his demands through her, a long list of demands,” Burrows said. “I think number one was that he wanted to speak to someone with authority, but mainly the prime minister, and there were quite a few other of those demands. The Daily Telegraph reports that in a chilling phone call to its newsroom from inside the cafe, one hostage referred to Monis as “The Brother”. Ms Mikhael also posted a Facebook post revealing some of the gunman’s demands, which Mamamia has chosen not to publish. 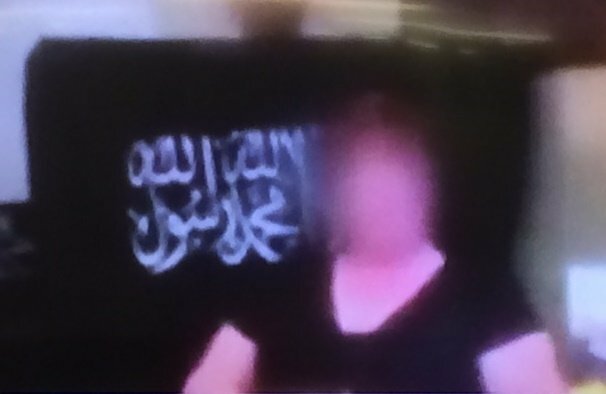 Several videos of hostages standing in front of a black flag — and reading out the gunman’s demands — were released overnight and played on breakfast television. Exclusion zone still in effect. An exclusion zone set up earlier in the evening around Martin Place bordered by Elizabeth St, St James Road, Macquarie St and Hunter St is still in place. The NSW Government website has asked the people of Sydney to go about their normal business today. The Sydney transport network will operate as usual, except for the closure of Martin Place station. Some buses will be diverted around the exclusion zone but will continue to run through the CBD. For more information about transport arrangements, visit www.transportnsw.info. Police have asked that people intending to travel to the Sydney CBD stay away from the cordoned off area but they are advised to go ahead with their plans. There will be no school excursions into the Sydney CBD today. 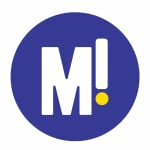 Islamic groups condemn the act. More than 40 Islamic groups condemned the actions putting out a statement expressing their “utter shock and horror” at the siege. “Our immediate thoughts go to the hostages and their loved ones. We pray for their safety and hope this matter is resolved quickly and peacefully,” the statement reads. As anti-Islamic sentiment increased during the day social media last night fought back. A campaign #Illridewithyou began with Australians offering to ride buses, trains and walk beside Muslims who may have felt fear at the community’s backlash. For more on the #IllRideWithYou campaign, see this post here. NSW Premier Mike Baird has released a statement saying all NSW government buldings will fly their flags at half-mast today to honour those who lost their lives in the siege. “Today the people of NSW and Australia have the heaviest of hearts and we are taking steps to allow the community to share our collective grief,” he said. “We are a peaceful, harmonious society that is the envy of the world. How we react in coming days will further show who we are. NSW Premier Mike Baird said in an earlier press conference at 5.30am: “I come before you with the heaviest of hearts. Unbelievably overnight, we have lost some of our own in an attack we never thought we would see here in our city. “In the past 24 hours, this city has been shaken by a tragedy that none of us could have ever imagined. The values we held dear yesterday we hold dear today. They are the values of freedom, democracy, and harmony. 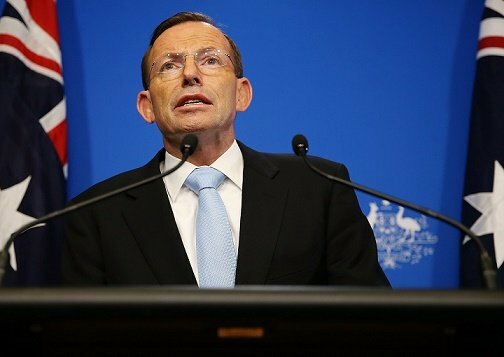 Mr Abbott gave another press conference at 8:30am about the incident, praising police and other authorities for their “professionalism and courage”. “Tragically there are people in our community ready to enage in politically motivated violence,” he said. “Sydneysiders can be proud of their part during what was a very difficult, testing day,” he said. “These events do demosntrate that even a country as free, as open, as generous and safe as ours is vulnerable to acts of politcally motivated violence. But they also remind us that Australia and Australians are resilient,” he said. 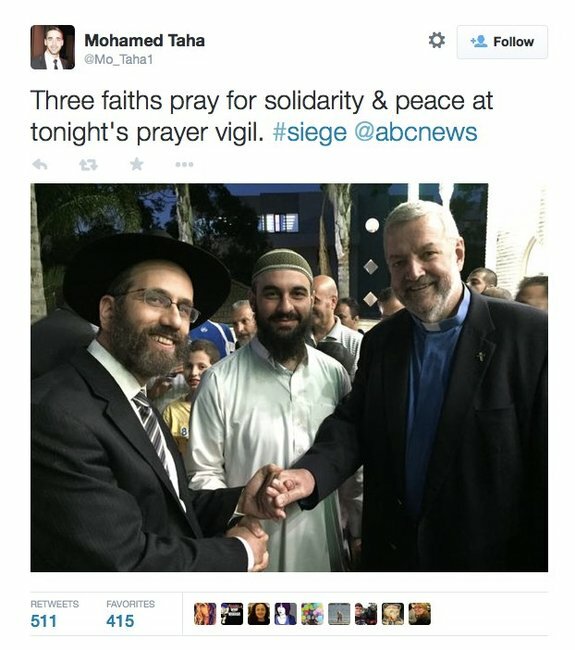 Mr Abbott addded that he would travel to Sydney later in the day to thank NSW police and others involved in the incident. NSW Police Comm Andrew Scipione praises police. In a press conference NSW, Commissioner Scipione praised the police saying they heard a number of gunshots inside the building. He said that police made the call because if they didn’t enter, lives would have been lost. He said “I commend the actions of our police. They have saved lives,” he said. He urged Sydneysiders not to change their way of life. “This was an isolated incident, this will not change our lives or the things we hold dear,” he said. As the hostage-taking in our Café in Sydney came to an end, Lindt & Sprüngli is profoundly saddened and deeply affected about the death of innocent people. We are devastated by the loss of their lives and that several others were wounded and had to experience such trauma. Our thoughts and feelings are with the victims and their families who have been through an incredible ordeal, and we want to pay tribute to their courage and bravery. Our immediate concerns are for the innocent people who were taken hostage in a place which was chosen in such a random way. We are thankful that most of the hostages who were involved in this terrible criminal act were freed by the intervention of the New South Wales Police Forces and would like to thank them for their service. “Lindt & Sprüngli will provide any support to the victims and their families, and indeed to all our employees affected by this event. We are grateful for the support we received from the public in Australia and from all around the world”, says Steven Loane, CEO Lindt & Sprüngli in Australia. If you are distressed or upset, please contact Lifeline Australia on 13 11 14 or your local support line. If you have information regarding this incident or see anything suspicious, please contact Crime Stoppers on 1800 333 000 or the National Security Hotline on 1800 1234 00 (Australian numbers).